This was written by Dr Upledger as the Institute was expanding and the work was taken further afield, so that we would all have a clear picture of both the intellectual and heartfelt place from whence it came! While it is a little wordy in places it does convey the essence of his work which we would like to share with you. It is the belief of The Upledger Institute International that, while our primary focus is on human beings, all living biological systems are gifted by nature with ingenious methods and processes by which they survive and function amid a wide variety of changing demands that are placed upon them by both internal and external environmental conditions. Further, we believe that the best methods and processes of adaptation to these various demands are inherent within each living system. When a living system demonstrates signs of faltering adaptive ability, we believe that it is very important to search for, discover and then offer support to these inherent and natural adaptive processes so that they become better able to perform their duties. The biological system then has an improved ability to function that, in the context of human biological systems, brings the body closer to optimal health. This approach to health enhancement for humans may be considered facilitative rather than curative or palliative. That is, The Upledger Institute International advocates the facilitation of inherent processes within the human body. This equates to the facilitation of self-healing. We do not advocate that this facilitation of the body's inherent self-healing processes excludes the use of Western conventional modalities that are more invasive and directive. Rather, we believe that our facilitative approach should be integrated into all phases of conventional Western healthcare, in recognition of the self-healing power inherent in each human being. We believe that the integration of our approach with all other healthcare practices will offer each patient or client reduced morbidity, reduced mortality, better quality of recovery from disease and/or trauma, as well as an opportunity to age much more comfortably and gracefully. Further, we believe that the answer to every health problem is present within the biological system in question. Rather than invade and probe that biological system so that it feels it must defend itself against the well-meaning invader/prober, we instead, by gentle touch, verbal or non-verbal communication and/or intention, most respectfully request that the biological system in question offers to us the reason for the problem. We also ask how we may help to correct or resolve the reason as gently as possible. We ask to be guided as we offer ourselves as facilitators to the self-healing process. This work can be done in conjunction with conventional Western medicine and surgery. When performed properly, it will enhance the positive responses to conventional Western modalities and lessen the need for more and more toxic and invasive procedures. In summary, we believe that there is an "Inner Physician" in each patient/client who understands each health problem and how best to resolve it. The Upledger Institute International sees the therapist's responsibility as one in which the Inner Physician is brought into "dialogue" with the therapist, who then follows the advice given by that Inner Physician. The Upledger Institute International will offer educational opportunities regarding all that it knows about the facilitation of natural, inherent, self-healing processes. The Upledger Institute International will always place patient/client welfare above any restrictive loyalties to professional disciplines. It is our belief that when all knowledge is openly shared between all healthcare professionals from all disciplines, the ultimate beneficiaries are the patients and clients. 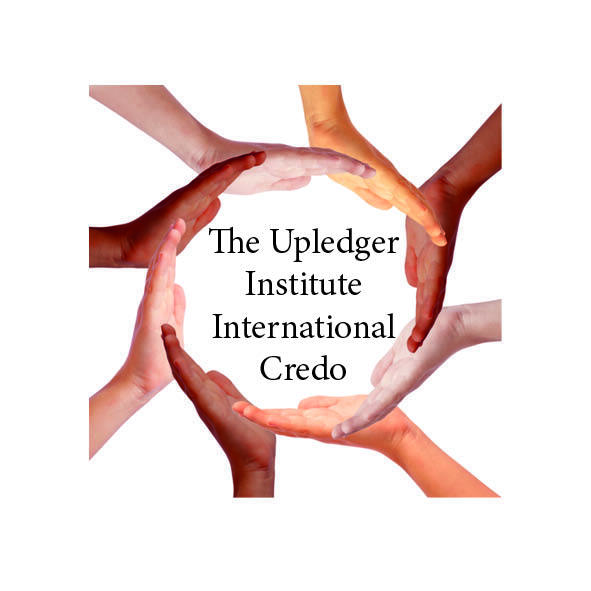 The Upledger Institute International will strongly endorse and, on occasion, individually produce informational programs for public consumption that offer concepts, ideas and techniques related to body-mind-spirit, integration, inherent self-healing techniques, and the facilitation of self-healing processes they can apply to others. We will always be sure that the techniques and concepts we endorse or present are essentially risk-free, and that they foster a re-recognition of the natural healing abilities with which we are all gifted at birth. The Upledger Institute International is dedicated to searching and researching for concepts and techniques that may be used for temporary symptomatic relief while core problems are being discovered and resolved within the patient/client. Most of these concepts and techniques come from the patients and clients themselves who are, indeed, our best teachers. We will always remain open to the evaluation and use of new methods, provided they are in keeping with the essentially risk-free criterion that applies to all of our methods and modalities. The Upledger Institute International considers each new patient/client as unique and individual. Statistical probabilities, symptom patterns and probable diagnoses are all put in the background as the therapist establishes rapport with the patient’s/client’s Inner Physician and reads the history which is contained in the body. This history is manifested as abnormalities in tissue, fluid and energetic qualities and motions. Further, on subsequent visits, the initial evaluation is done once again without reference to or consideration of what was gleaned previously about this patient/client. This is done so that subtle new findings that might present will not be missed because of bias obtained during previous visits. Thus, the door for new information is always open and the therapist has no investment in any previous diagnosis. Quite often patients/clients are evaluated by two or more different therapists, none of whom know what the others have found. The sharing of findings by the therapists is done after the evaluations are completed. This requires a subordination of therapists’ egos toward the benefit of the patient/client. The Upledger Institute International will consistently and constantly work toward making the patient/client independent of the therapist. Our goal is to assist in the enhancement of patient/client self-esteem, as well as to help them assume responsibility for their own health. Further, we work toward the development of a free and trusting communication between the infinite levels of consciousness each of us possesses so that any level of consciousness can easily gain the attention of the conscious awareness without having to resort to the presentation of symptoms and/or disease processes in order to be heard. In facilitating the human being’s self-healing processes, The Upledger Institute International therapists will use whatever modalities seem appropriate, provided these modalities are essentially non-invasive and risk-free. Further, they will explain to any patient/client who is receptive, at an appropriate time, exactly what is going on in the most simple and straightforward terms possible. We want patients/clients to know the reasons for their problems and what is being done to facilitate their resolution. We also want patients/clients to understand that their healing is a joint endeavor toward which they must offer significant effort.